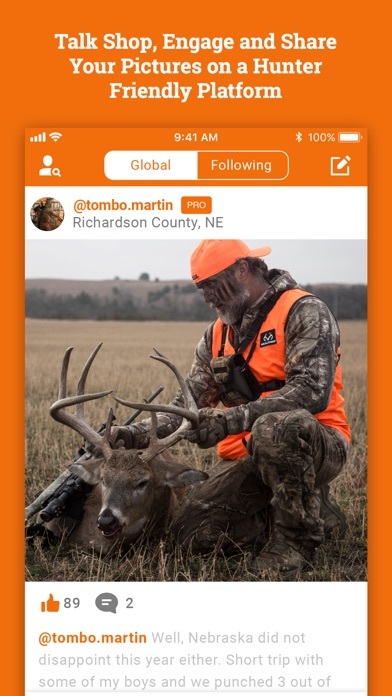 You’re invited to take part in the best hunting app community out there! Share hunting experiences with like-minded sportsmen and women around the country, while gaining access to the best hunting tools on the market. 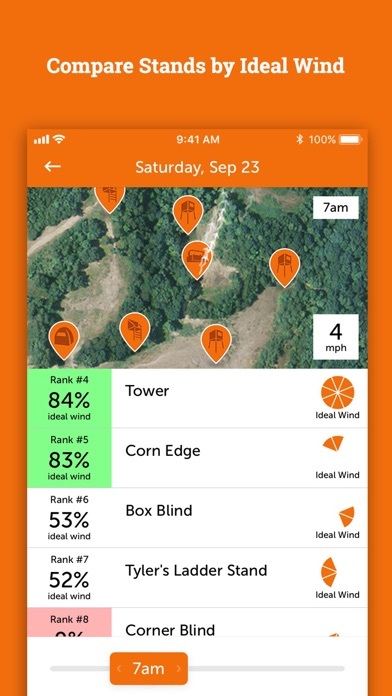 With hunting weather predictions, solunar calendars, GPS Maps and more; HuntWise is one hunting app with the ability to help you plan and prepare for the best hunting times to ensure that you don’t come home empty-handed. 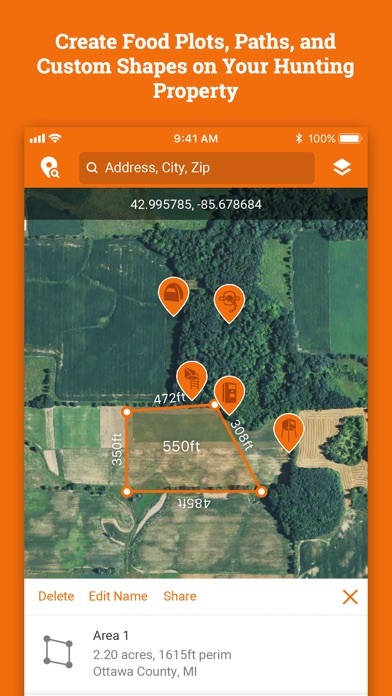 Whether you are deer hunting, duck hunting, or hunting for a wide range of other species, using HuntWise as your trusted hunt predictor will increase your chances of hitting the mark. WEATHER FORECASTS FOR HUNTERS HuntCastTM Predictions and Hunting Forecast: Over 12M predictions have been made to date using an industry leading prediction and forecast tool. 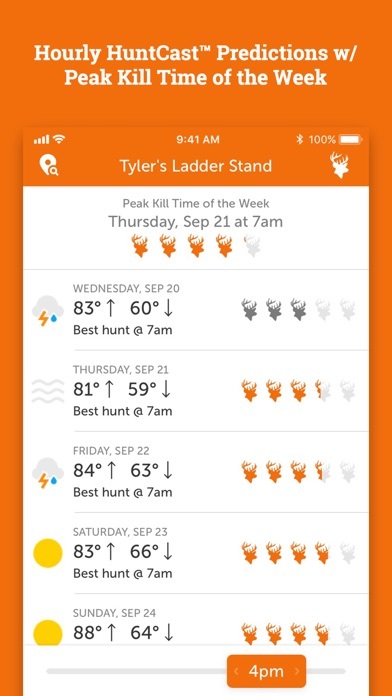 Trusted and tested by Hunters around the globe, HuntCast combines 8 tracked weather related variables to determine your species-specific peak kill times. Determine the best hunting times for specific species including: white-tailed deer, waterfowl, turkey, upland game, wild boar, coyote, rabbit, squirrel, black bear, brown bear, black-tailed deer, moose, mule deer, and elk. 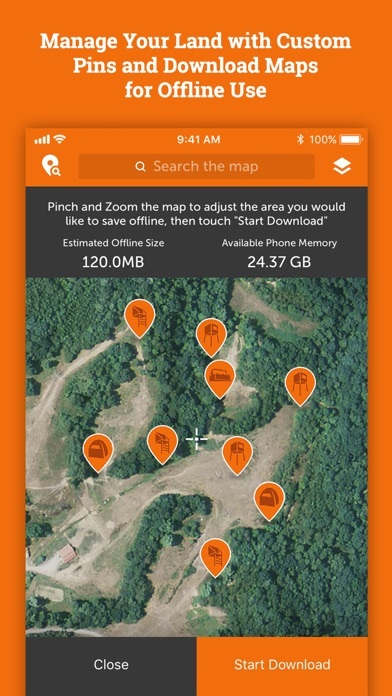 MAPS BUILT FOR HUNTERS Turn your smartphone into a powerful GPS Hunt Mapping device and more! 1) Private Land Ownership Boundaries: Scout new hunting properties and identify private property boundaries. 2) Satellite + Topographic Imagery: Understand terrain with topographic contours, hillshade, and satellite imagery. 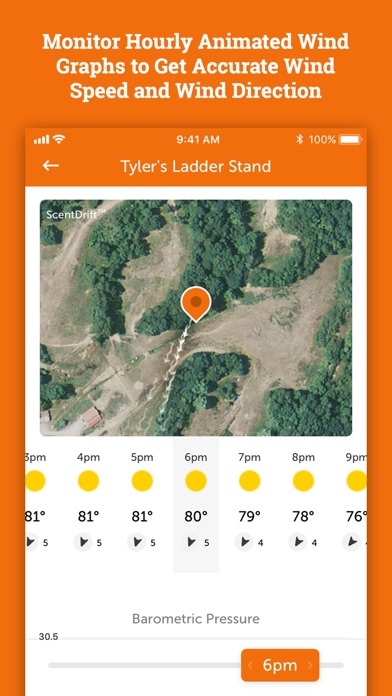 3) Custom Waypoints: Plot your stands, blinds, scrapes, rubs, and waypoints. 4) GPS Navigation: Navigate to any custom location in real time using your phone's built-in GPS. SHOP HUNTING GEAR HuntWise is now your one-stop shop for your favorite hunting gear. 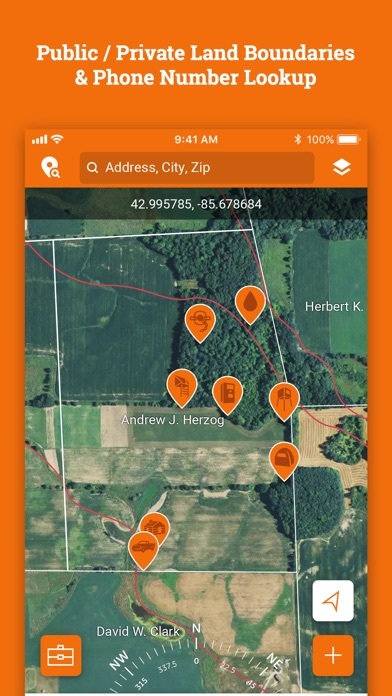 We have partnered with some of the best hunting brands in the world to make it even easier for you to access the essentials right from your phone. Connect with other hunters to discuss gear, ask questions, and read hundreds of reviews from sportsmen around the country. 1) Find Gear: Easily search through the best hunting gear brands 2) Read Reviews: Read authentic reviews from sportsmen around the country to hear what others are saying about specific gear. 3) Ask Questions: Chat with other professionals about the best gear for all of your hunting needs. PRO MEMBERSHIP With Pro Membership, you will gain access to private land boundaries for the entire United States. This map layer will be displayed over your existing satellite map if enabled in the layer’s menu on the map tab. The Pro Membership costs $49.99/year. The subscription automatically renews unless auto-renew is turned off at least 24-hours before the end of the current period. The payment will be charged to iTunes Account at confirmation of purchase. Subscriptions may be managed by the user and auto-renewal may be turned off by going to the user's Account Settings after purchase. No cancellation of the current subscription is allowed during active subscription period. https://sportsmantracker.com/privacy-policy https://sportsmantracker.com/terms-of-use COMMUNITY SHAPED BY HUNTERS Join a community of hunters who understand what’s at the heart of hunting; who appreciate the patience and skill required to be successful, and who will celebrate with you when you get the big one. Share in thousands of photos and stories of hunters around the country. 1) Log your hunts- Each hunt is an opportunity to make memories. Record those prized moments and relive them for years to come. 2) Talk shop- Chat with hundreds of hunters across the country and share in the thrill of the sport. 3) Record Keeping- Record your harvest and sighting amounts along with other details for every hunting season. Hunt more. Hunt Better. HuntWise. 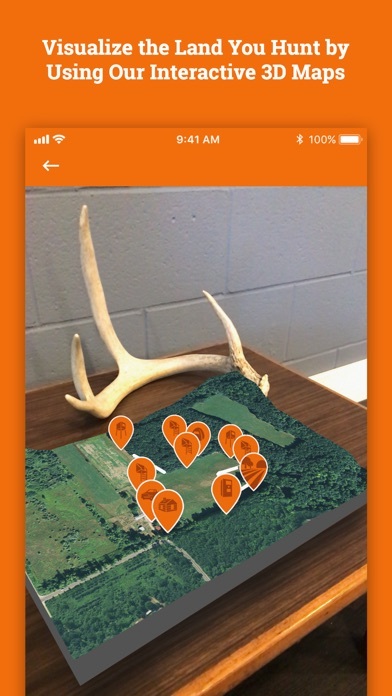 I’ve been using the HuntWise app for a couple of years for deer and turkey hunting. I’ve tried other, so called leading apps. HuntWise blows them out of the water. I hunt with my 13year old grandson and I’m teaching him never plan a hunt with out the HuntWise app is my top piece of gear! I love HuntWise. Only problem with it is it won’t let you upload your pictures sometimes especially if you want to load more than one. Other than that great app! Great app out of all the ones I tried. I’d love to see the social media piece develop a little more, but the tools are excellent. Don’t 100% depend on the hunting forecasts. Nothing replaces good ole field knowledge. I 100% recommend any hunter to use the Pro version. It’s worth the money. Best Hunting Ap I’ve used. The land owner info is up to date and the sat images very clear. Easy to mark and calculate distances too. Just over all great. This app is amazing it went from just your original hunting app to my everyday app love it so much.